Romney’s Caterer | News and Features | Style Weekly - Richmond, VA local news, arts, and events. 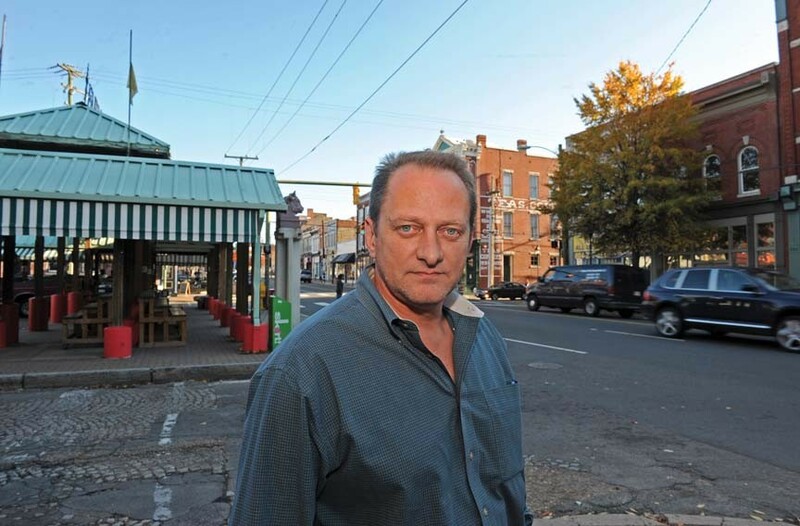 Richmond business owner David Napier gets political after Obama remark. David Napier, owner of White House Catering and president of the Shockoe Bottom Neighborhood Association, was recently featured in a half-hour conference call with reporters for Republican presidential contender Mitt Romney. The theme: President Obama and his so-called effort to destroy capitalism. The conference call featured small-business owners from four swing states. Napier said he was driven to speak out after Obama visited Roanoke and said: "If you've got a business, you didn't build that. Somebody else made that happen." Obama, of course, was referring to the government's role in building infrastructure, such as roads and bridges, which are critical to America's free-enterprise system. Since the flap, Napier has been mentioned on a number of political websites and was called out by name on Rush Limbaugh's radio show. Style Weekly caught up with Napier to get his take on the controversy. Style: So what motivated you get involved in the Romney campaign conference call? David Napier: I'm from Bedford, Va., which is very near Roanoke. It's kind of a hometown. I tuned in when the president was there and listened to his comments. At first I was hurt as a business owner, and then I was disappointed that he was so out of touch, and then I was angry. I kind of went through this whole range of emotions all in about 15 minutes. As a small-business owner, [the Romney campaign] contacted me and asked if I would be willing to give my opinion. I cater for both sides of the aisle, obviously. What did you say during the conference call? I told them I was fairly confident that 100 percent of all tax revenue comes from business activity. … There is no tax revenue from people who don't have jobs. There is no tax revenue if there is no business. That's what I said. Most income tax is paid for by people who work for businesses. The rest of it is paid for by the businesses themselves. Business is not evil. Business is good. Were you surprised at how the media latched onto the story? I have not heard any of the places I've been mentioned. I'm only surprised that others haven't jumped on [Obama's comments] before I did. One hundred percent of tax revenue coming from business activity seems very simple to me. It's a frighteningly simple concept, because it's true. Some of the most complex problems have the simplest solutions when you get right down to it.